Killa sticks to your mind longer than what you imagine, while viewing. In the climax scene, as the mother-son duo get packing (for yet another relocation), Chinmay’s hands fall on his late father’s snap. It’s the first time the audience gets a peek of how his dad looked – for all of three seconds – but the photograph and Chinmay’s face stick with you long after the movie. The director could have prolonged the scene, get Chinmay, his mom and audience to shed tears, but Avinash Arun stayed clear of any melodrama. That essentially is the biggest strength of Killa – the ability to haunt your senses for days beyond. 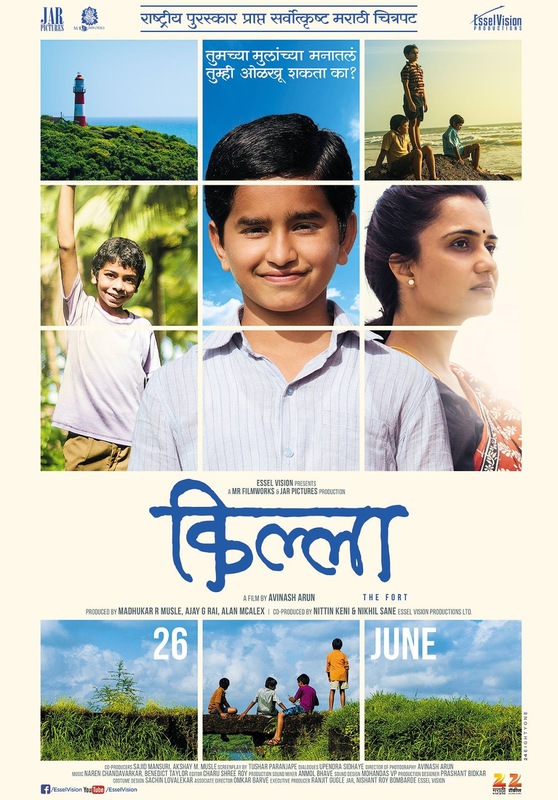 In a nutshell, this national award winning Marathi flick is a touching story of an eleven year old boy, Chinmay Kale, who has trouble adjusting to his father’s demise and their frequent shift of dwelling, to accommodate his mother’s fragile job. The movie starts with their relocation to a Konkan village. They have electricity and refrigerator, but coming from Pune, everything is too difficult to digest – including jackfruit curry which Chinmay used to love when his dad was around. The village and settings remind of the 1980s we all have experienced before – sitting on the floor and eating, cycle racing with kids, playing with stray dogs, an unknown person asking to run an errand, jumping inside a local pond, catching crabs with bare hands, putting ears on walls to listen sounds, the sturdy small bridge, touching and smelling moss, lots of greenery and peace around. The greenery and peace substantially enhanced by the movie’s top class cinematography – so good that you want to visit this place – sit on the abandoned fort, gaze at the sea, hear the sound of waves, lie on the absolute pristine beach and share the pain with Chinmay and his mother. Chinmay) and so gets into continuing with chores while drowning her shrieks. Chinmay has more room for expression – including being rude at a dinner invitation or shout at his mother with an abrupt assumption that her life must be going fine. Chinmay’s troubles magnified the day he encountered his school mates – brash, unpolished and unlike what he may have seen at Pune. Bandya (the leader of the school cool group) gets fun out of poking gasoline in the backside of stray dogs or when doing the choreography of the dance to welcome the richest boy in class. Bandya, played by Parth Bhalerao, the lead of Bhootnath returns, is an absolute delight to watch, especially in the scenes where he marvels at new cycles or mocks at the scholarly Chinmay after catching a snake by his fishing rod! Coming from Pune, Chinmay’s scholarship status shines amongst the rowdy village classroom. He uses that knowledge, amidst the cat calls, to befriend the ‘cool group’. But one bad joke (common at village kids level, but unacceptable at city level) and Chinmay’s silence, head -down, slow walk resumes. It takes the mother to organize a dinner for all his friends, amidst all her job and financial difficulties, to help settle things back. At the end, Chinmay realises that relocation is his fate and he needs to stand strong (ala abandoned Killa) trying to find light seeping in amongst the dark walls. Killa has a cast which doesn’t ever give you the feel of ‘acting’, you always feel it is real and happening inside your room. It is a must watch for everyone who has seen life in 80s, relocated frequently or lost a parent. If you don’t fall in either of the categories, then it is a more important watch to broaden your thinking canvas. Kudos to the team and to the two faces, for whom i feel for, even few days past viewing – Archit Deodhar (playing Chinmay Kale’s role) and Amruta Subhash (mothers role). 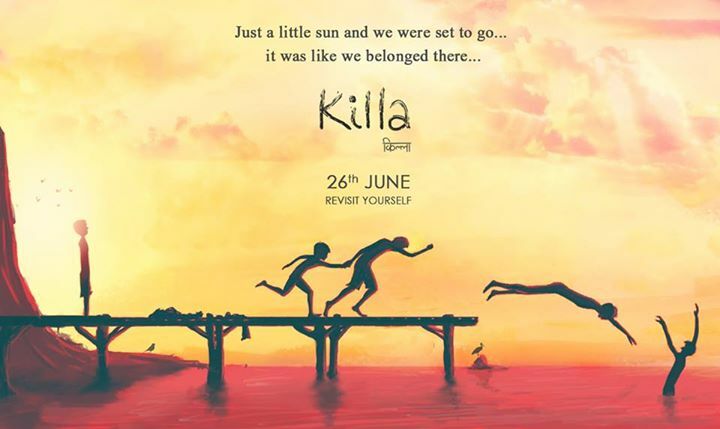 Killa is simplistic, touching cinema at its best. Next Next post: Airlift: 5 Reasons it’s a must watch!